These fascinating photographs show how different the world used to be: A time when people could play guitars in their passport photos, or have citizenship of a country that only lasted four years. Aside from the frantic rummage through a sock drawer the night before an international flight, few people really pay much attention to their passports and what they really mean. A passport isn’t just a way to get through to the duty-free – it’s also a snapshot of a time, place and person that will one day be gone forever, as these passports from countries that no longer exist reveal. Curated by collector Tom Topol, creator of the website Passport-collector.com, the selection below shows just how many countries have now disappeared – such as Fiume, which existed for just four years and is now part of Croatia – and how unique the documents used to be. 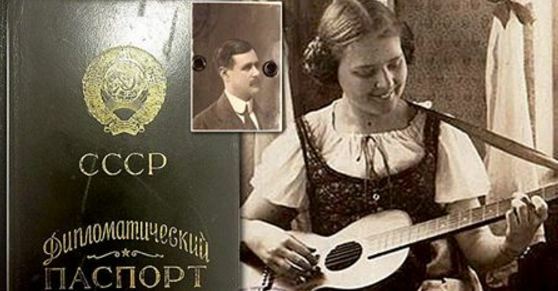 ‘I believe this topic is especially intriguing because nowadays our passports are so much standardized,’ said Topol, who is based in Germany – and when you see passport photographs of a woman playing a guitar, it’s easy to see what he means.